What better way to go into the weekend than by having a wonderful selection of technology-based deals which allow you to welcome new hardware into your life at reduced prices? 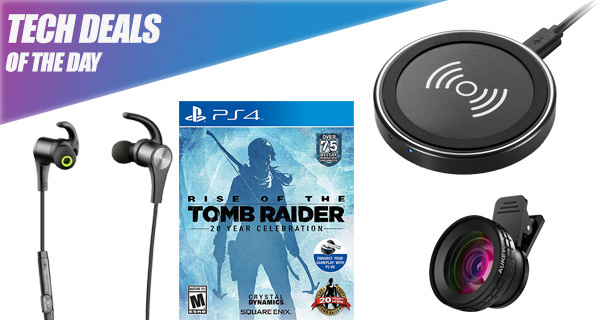 Once again, as is always the case at this time of the day, we have a curated selection of deals for you to choose from. Make sure to act quickly before they are all gone. Starting off, we are looking at the SoundPEATS wireless earphones discounted by $30, which means you can grab the headphones for a mere $20. 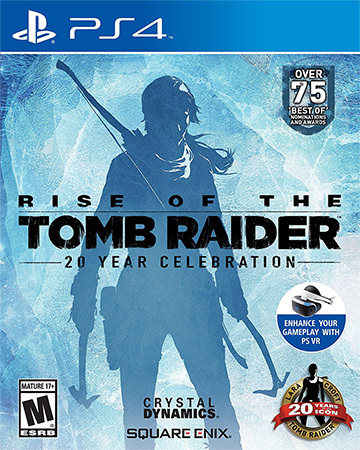 Next up is the Rise of the Tomb Raider: 20 Year Celebration game for the PS4 for just $30. Looking for a wireless charging pad for the soon-to-arrive iPhone 8 or iPhone X? We have you covered with one that costs just $13. 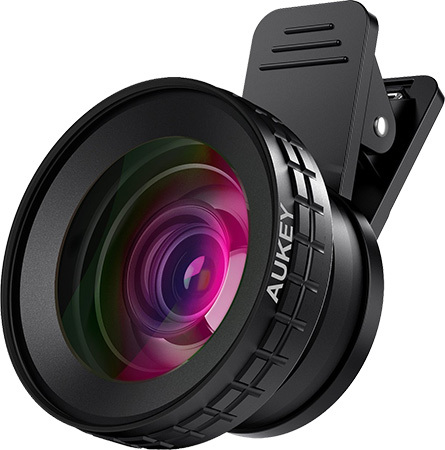 Last but not the least is a a clip-on camera lens for smartphones for just $20. As always, the deals listed here are only available for a limited period of time, or till stocks last, whichever happens first. So if you have a product of choice narrowed in your sights, make sure you act quickly before the offers expire. Enjoy the savings! 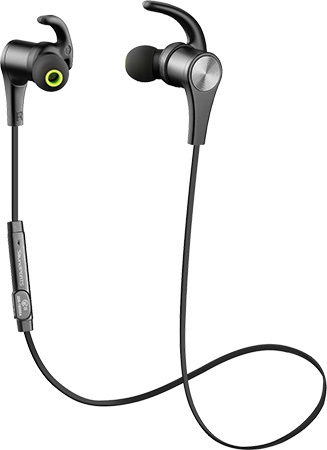 If you have been looking for a pair of affordable, highly useful, lightweight, and wireless headphones for use in the gym or when out running, then these SoundPEATS are most definitely worth glancing at. They offer an instantaneous Bluetooth connection with a smartphone or tablet device, a decent battery life considering the size of the product, and built-in magnets to create a secure necklace effect when they aren’t in your ears. Lara Croft and Tomb Raider are both going to go down in the record and history books when it comes to gaming. Little did anyone know when the heroine was introduced two decades ago that she would become the action star of a smash hit global franchise across multiple platforms. Well, she has, and you can relive the experiences with this 20-year celebratory edition of Rise of the Tomb Raider for Sony’s PlayStation 4 console. Apple has just introduced three new iPhones with wireless charging and suddenly the whole world is talking about the technology. 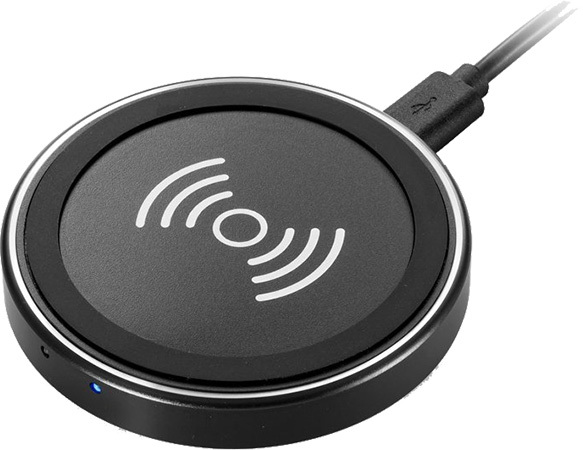 Well, plenty of other companies have been offering devices with this for a while ,and now you can grab a wireless charging pad for next to nothing with this perfect little purchase. Also, works with Apple’s new iPhone 8, iPhone 8 Plus, and iPhone X.
It’s probably fairly accurate to suggest that millions of iPhone owners are big fans of mobile photography. Those individuals may be amateurs or professionals, but could always do with a little additional assistance in getting the perfect photo. This little Ora kit includes 2 lenses built into 1 with a 140-degree wide angle lens and a 10x Macro lens for unbelievable clarity at close-up ranges. Idk… Tomb raider was always boring to me, played it a couple times on ps1 and lost interest. Maybe they made it better with later releases on better consoles. Just my opinion of course.